A Bit of Magic with these Tinkerbell Cupcakes! As the fairy dust lands on Johannesburg and the magic of Tinkerbell is captivating the hearts of little girls in movie houses all over the country, their birthday wishes are for Tinkerbell themed parties. With these parties come the fairy dresses, Tinkerbell cakes and Tinkerbell cupcakes. 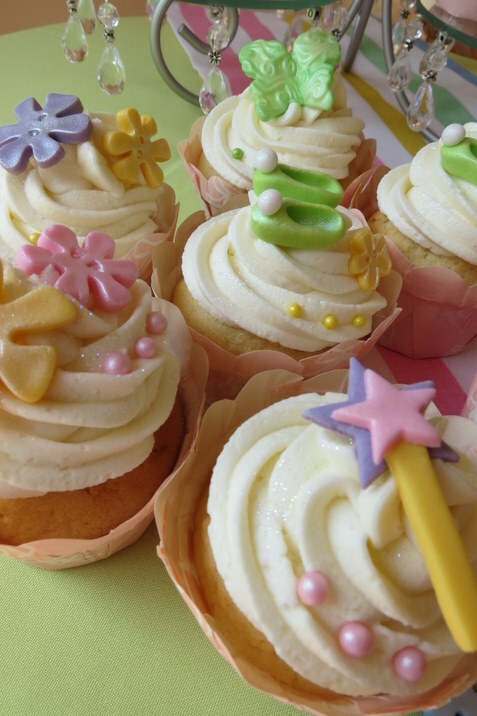 I waved my magic cupcake wand to make these Tinkerbell cupcakes for a little girl turning 5 and made her wish for cupcakes with Tinkerbell slippers, fairy wands, fairy wings and fairy flowers come true. I shaped the lime green sugar paste into Tinkerbell slippers with their unique little white baubles and brushed the slippers with a satin finish to make them more ‘magical’. I had a mold made from cute flower buttons I found recently and they were perfect in pastel sugar paste colours. 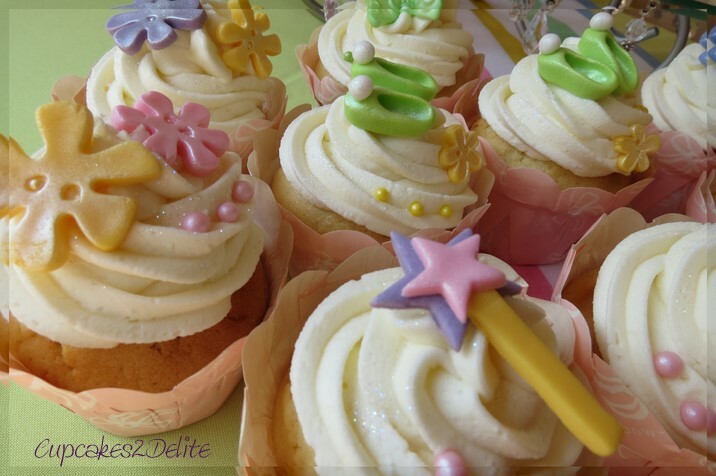 Who could not but be transported to a magical fairyland with these cute fairy-themed cupcakes? ← A Twist of Spring!